Explore Bing’s playful world in this sweet box of fun. All the things this happy bunny loves! 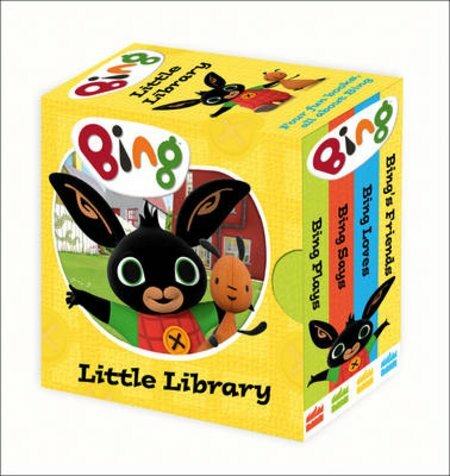 What games does Bing like playing? Who are his best friends? What are his favourite sayings? Find out in this mini pocket library – the perfect way to snuggle up with this cute bunny. Four bright and simple board books (you’ll love the big pictures) show you the things that Bing likes best. Simply gorgeous. The only tough bit is working out which book you like best.